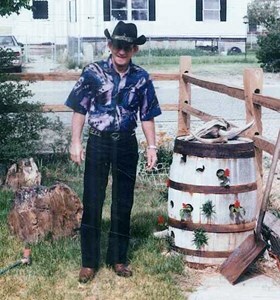 Jack Forrest Spink age 76 passed away October 19th, 2018 at Life Care Center in Casper, Wyoming. He was born May 29th, 1942 in Atlanta, GA. He enlisted in the United States Air Force on June 14, 1959 and was honorably discharged on December 6, 1959. Jack met June in Cheyenne and united in Marriage on April 28, 2006 in Casper. Jack’s hobbies were truck driving, camping, and fishing and was an outdoorsmen and enjoyed hunting. He was a stock car driver and drove Pike’s Peak. He was an animal lover and loved his numerous dogs but especially little Jack. He will be greatly missed by all. He is survived by his wife, June Elizabeth Spink of 12 years of Casper, Wyoming; his Children: Elton (Bonnie) Spink of Baldwin, GA., Forrest Jay Spink of Turnerville, GA., Jack Forrest Spink Jr. of Hayden, ID., Aprile Dodson of Hayden, ID., Luke Spink of Hayden, ID., and Zeta Haley of Green City, MO. ; one sister, unknown location; 9 Grandchildren; 4 stepchildren with numerous step grandchildren; and numerous great grandchildren. He was preceded in death by his parents, James Luke Spink and Edna Boston. A memorial service will be held at 2:00pm, Monday, October 29, 2018 at Central Wyoming Fairgrounds. Add your memories to the guest book of Jack Spink. I remember us kids going to Cheyenne frontier days with him.wasnt able to ride the float cuz we were under 21..